Perfect for everyday cooking and frying. Pure and all-natural. 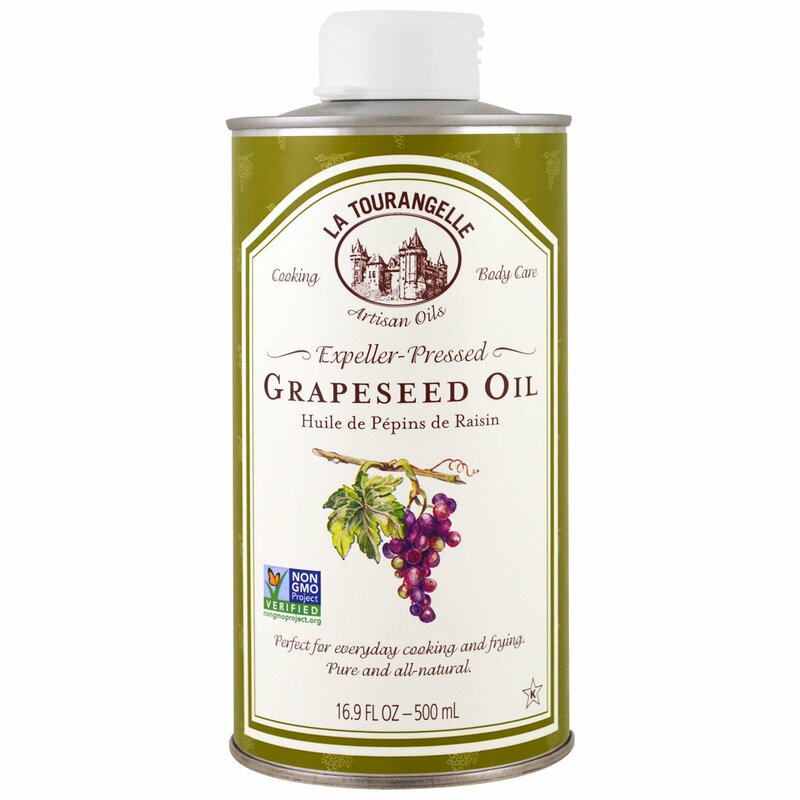 La Tourangelle Grapeseed Oil is ideal for everyday use. Its light, nutty taste makes for a delicious salad dressing, and its high smoke point ensures easy frying and sautéing. A natural byproduct of the wine grape, it is low in saturated fat, making it the oil of choice for many fine chefs. 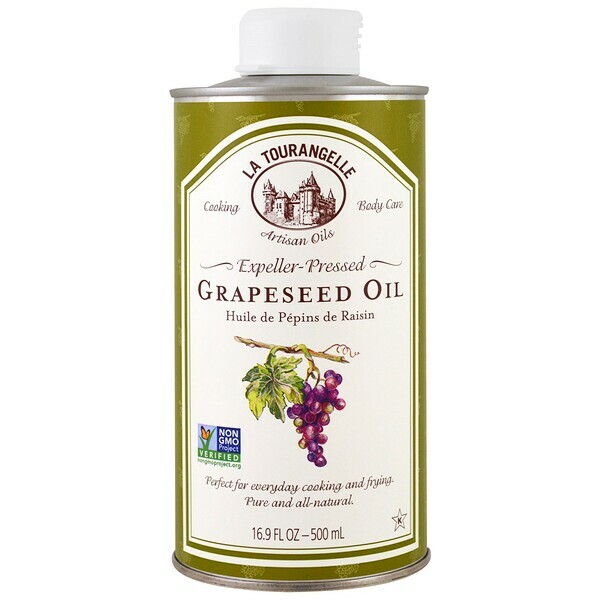 La Tourangelle Grapeseed Oil is a fine hexane-free oil also perfect for body care and DIY cosmetic recipes. 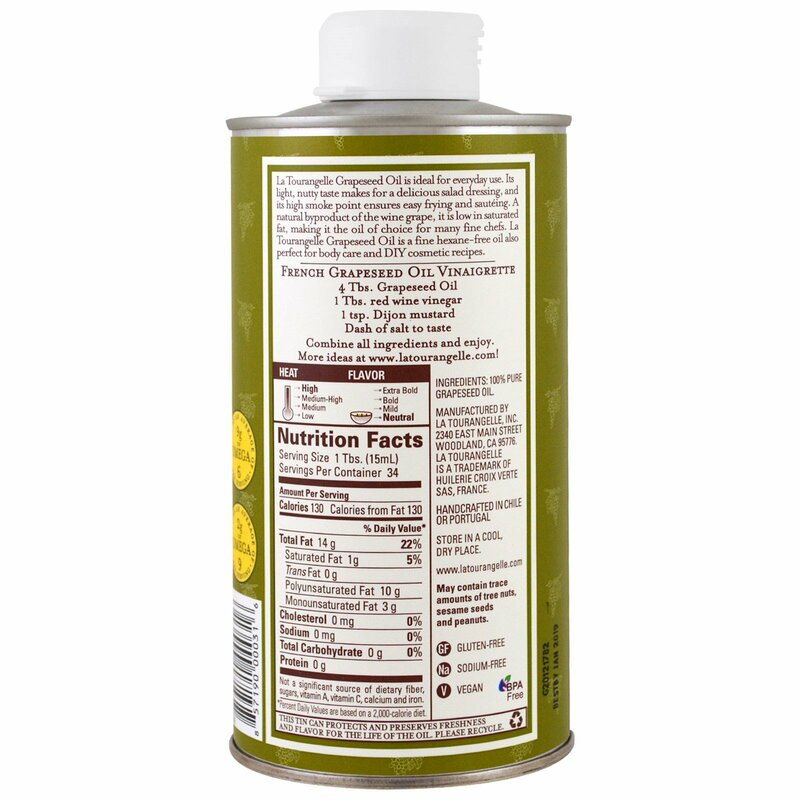 This tin can protects and preserves freshness and flavor for the life of the oil. Combine all ingredients and enjoy. May contain trace amounts of tree nuts, sesame seeds and peanuts.